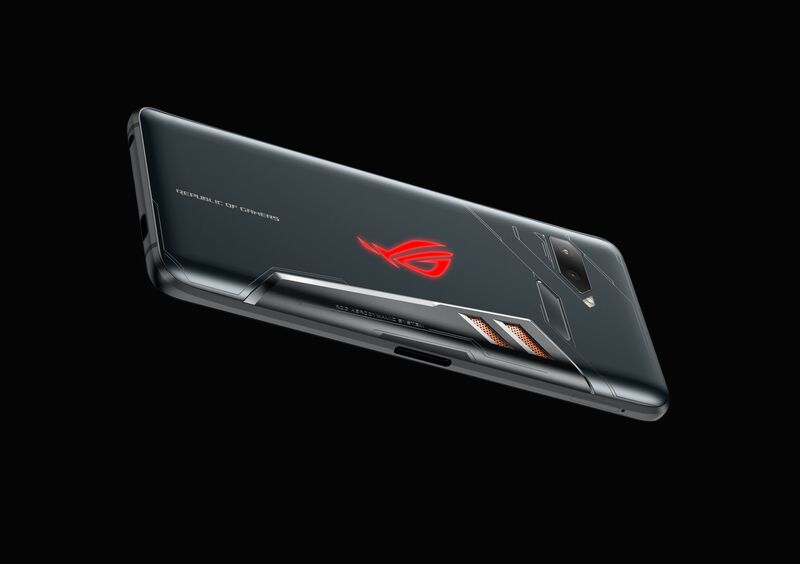 At the Computex in June, Asus showcased the ROG Phone, a gaming phone to compete with the likes of Razer Phone and the Black Shark. Today, the Asus ROG Phone was launched in Indian market at a price of Rs 69,999 or $1002. The phone is an absolute powerhouse when it comes to performance and has some unique features that we don’t see on normal phones. Like all the gaming related devices from Asus, the ROG Phone has a pretty unique design that gives a feel of a true gaming smartphones. The phone has copper detailing, a hexagonal fingerprint reader on the back, an Aerodynamic system to prevent the phone from overheating and more. 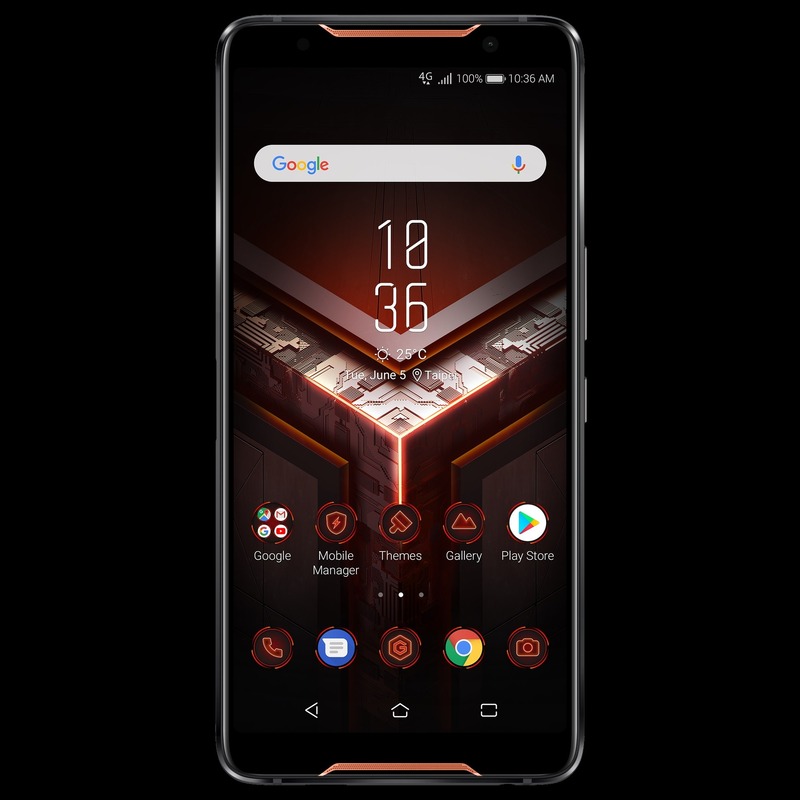 This is definitely an aggressive looking phone and the company has tried its best to copy the design of its gaming laptops. The Asus ROG Phone has a 6-inch 18:9 AMOLED screen with a 90Hz refresh rate, 2.5D Gorilla Glass 6 and 108.6% DCIP3. This makes it the first smartphone to have an OLED panel with a 90Hz refresh rate. The brightness goes up to 550 nits and the display has 1ms response time. The screen supports HDR and the contrast ratio is 100,000:1. 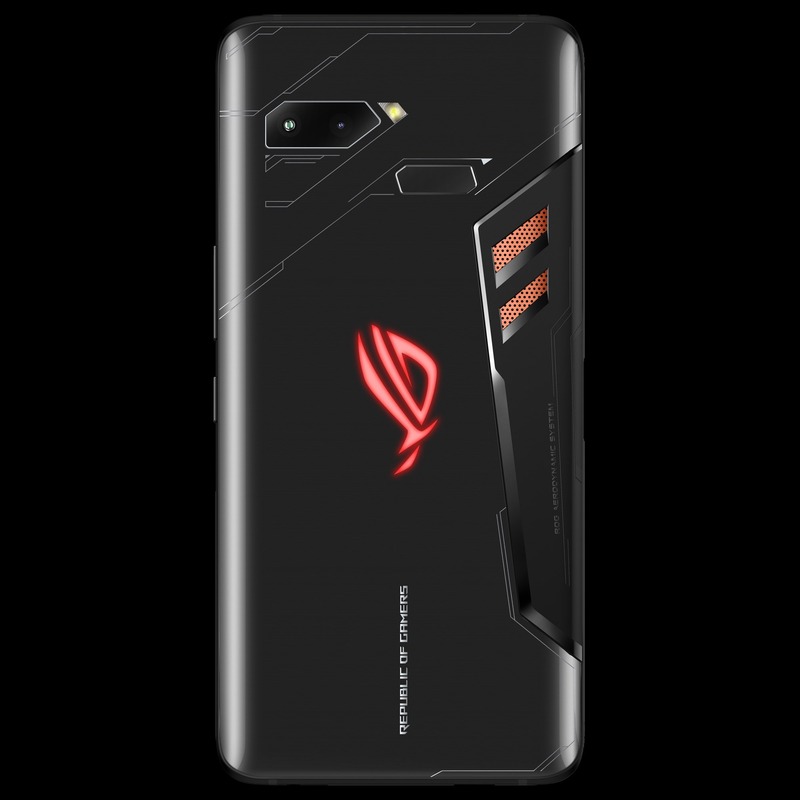 The ROG Phone has ports all around. There is a USB Type-C port and headphone jack on the bottom and on the left side, there are two more ports (USB Type-C + one special port) for connecting the accessories or to charge the phone while playing games so that the cable doesn’t cause an issue while playing. The phone has dual front-firing speakers with dual NXP 9874 smart amplifier, DTS (Digital Theater System) DTS:X Ultra 1.0 for realistic 3D audio rendering featuring immersive 7.1-channel surround-sound with the enhanced bass response and Triple internal microphones with ASUS Noise Reduction Technology. 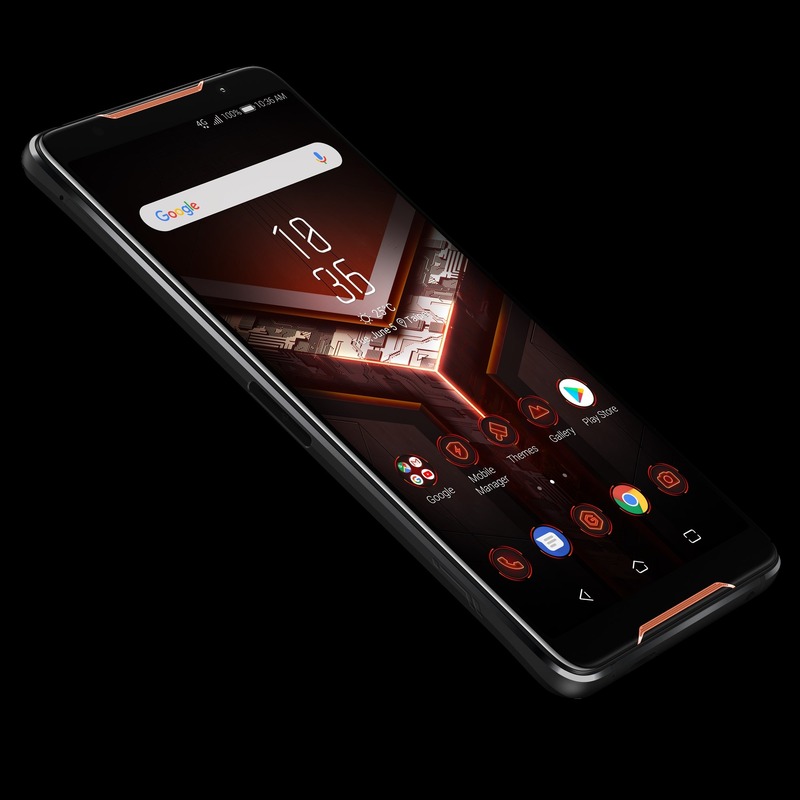 The Asus ROG phone packs the Snapdragon 845 processor which is speed-binned at 2.96GHz. This makes it the most powerful smartphone with the Snapdragon 845 processor. There is vapor-chamber cooling system as well. The phone has 8GB LPDDR4 RAM and 128GB UFS 2.1 storage. There is also a 512GB variant but that wasn’t launched in India. The ROG Phone has dual cameras on the back that include a primary 12MP Sony IMX 363 sensor with Dual Pixel AF, 1.4 micron pixel size and f/1.7 aperture. The secondary camera is an 8MP wide-angle lens with 120-degree FOV. The primary rear camera has 4-Axix OIS, Scene Detection, Real-Time Beautification and Portrait Mode. On the front, there is an 8MP f/2.0 camera. The rear camera can shoot 4K videos at up to 60fps and 240fps slow motion videos at Full HD. Android 8.1.0 Oreo runs out of the box with ROG UI on top and there is a big 4,000mAh battery under the hood. The Asus ROG Phone will be available from today, exclusively on Flipkart.